There is no better way to enjoy great wine than with great food. 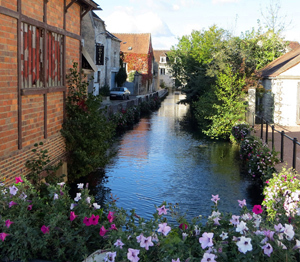 Wine and food are such an important part of life in Old World countries like France and Italy. The concept is what Robert Mondavi talked about all of his life. I had to be in Cleveland this weekend for work and made my second-ever visit to Lola’s in downtown. 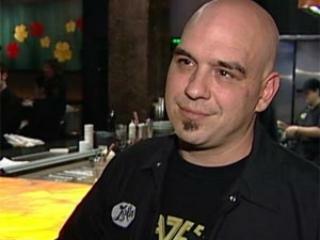 If that sounds vaguely familiar to you foodies that’s because Lola’s is owned by Food Network Iron Chef Michael Symon. My dinner started with a potato/leek soup. It featured bits of braised pork belly with a silky smooth puree poured into the bowl at the table of the pork and some herbs. I had the potato-crusted sturgeon for dinner that was just tremendous. The sturgeon sat on a bed of carrot, mushroom, onion and bacon in an incredible veal/cabernet sauvignon reduction. For dessert, and who goes to a restaurant like this and NOT have dessert, I enjoyed the Coconut Caramel Bavarian. It was a very thin layer of chocolate cake with a lightly-flavored coconut cream layer, then a thin dark chocolate wafer on top. The dessert was garnished with big blackberries and toasted pecans. I really was in the mood for red wine but had never had sturgeon so was unsure. Our delightful waitress assured me the reduction and sturgeon would pair well with a Cotes du Rhone. 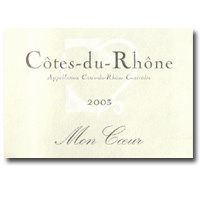 We decided on a Jean Louis Chave Mon Coeur 2007 Cotes du Rhone. It was a grenache based wine that was silky smooth with very light tannins. It had a hint of oak that kept it balanced but was really rich and enjoyable. Now the only bad news is that in restaurants at this price point they really run up the wine prices, as most of you probably know. We paid just over $50 for this wine. When I got back to the hotel room I looked it up to find the normal retail is about $22. If you’re going to have a nice bottle of wine in a fabulous restaurant, you just have to acknowledge you’re going to substantially over-pay for a bottle of wine. Lola’s has a fabulous wine list with a wide range in prices. Friday night was my second visit. It’s the kind of place you think about returning again as soon as you walk away.